2127 W. 22nd Place, Pilsen. 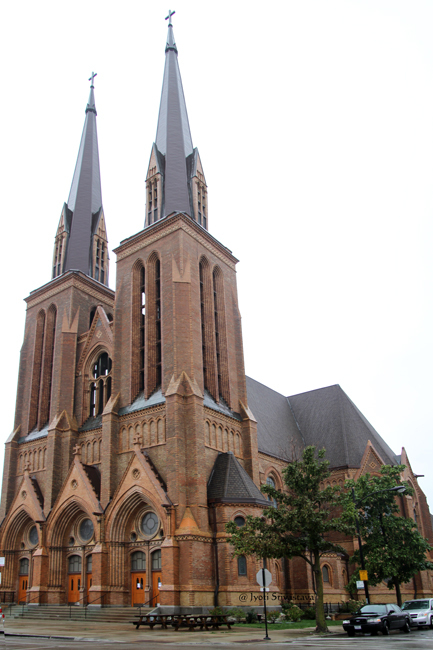 he Neo-Gothic style building is visible from all sides of Pilsen due to its exceptionally tall dark brick spires. St. Paul’s Catholic Church, Pilsen. 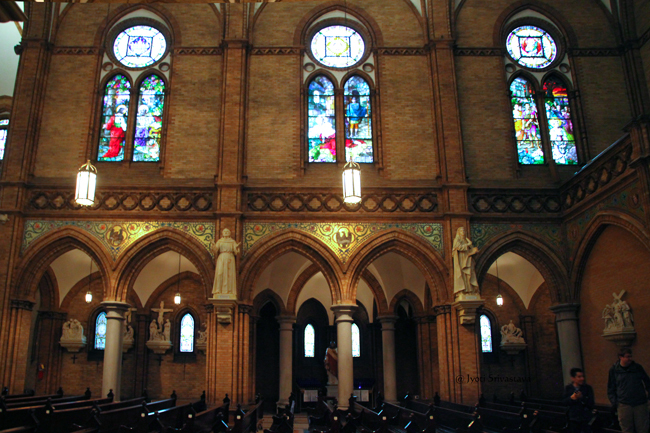 The church was built entirely by its own parishioners—many of whom were professional bricklayers. 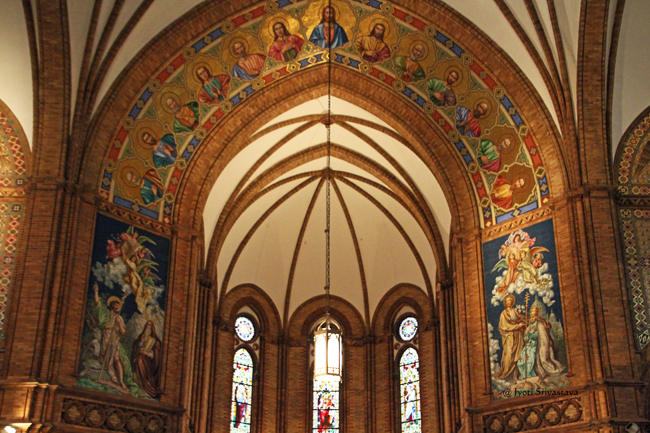 The only portion painted in the church is the ceiling. 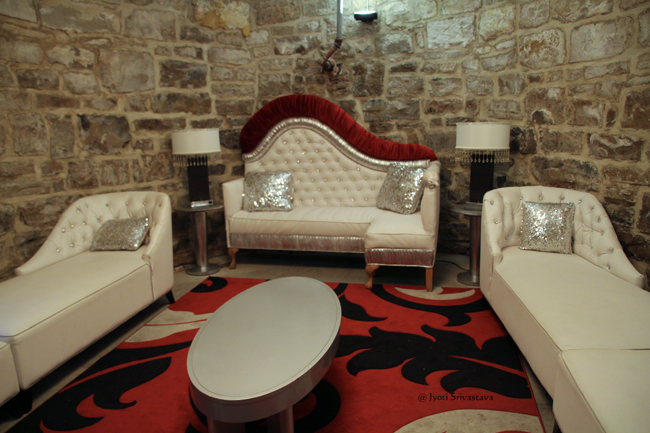 Rest all, that look like painting are mosaics. 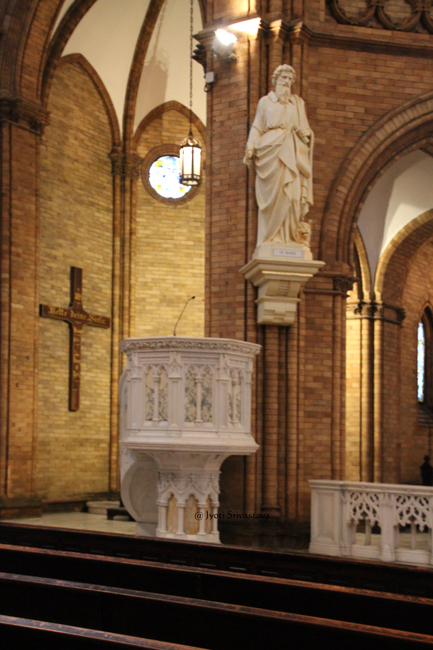 The main alter of Carrara marble was designed by Henry Schlacks, and was constructed in Italy. 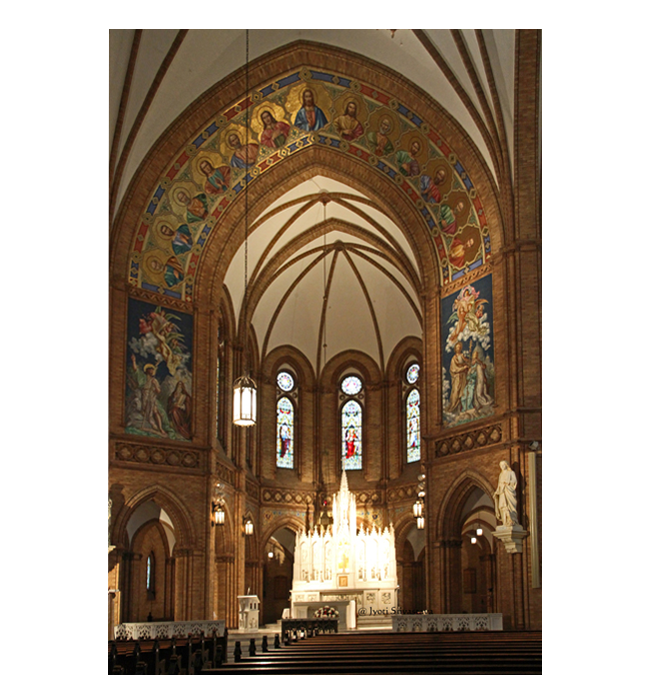 The stained glass windows were obtained from the Royal Bavarian Art Institute for Stained Glass of Munich, Germany. 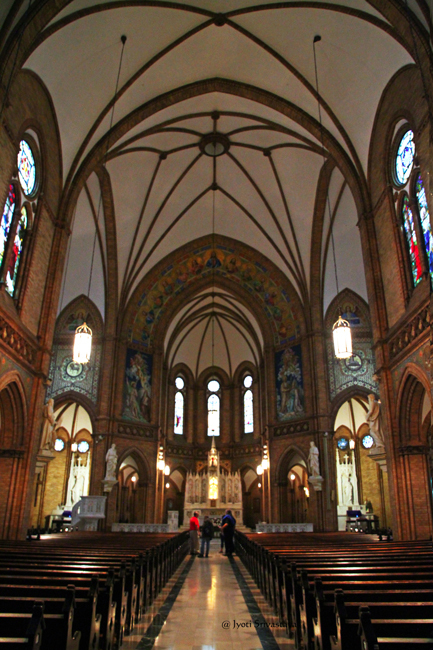 St. Paul’s Parish was founded in 1876 for German speaking working class immigrants who lived west of the river. 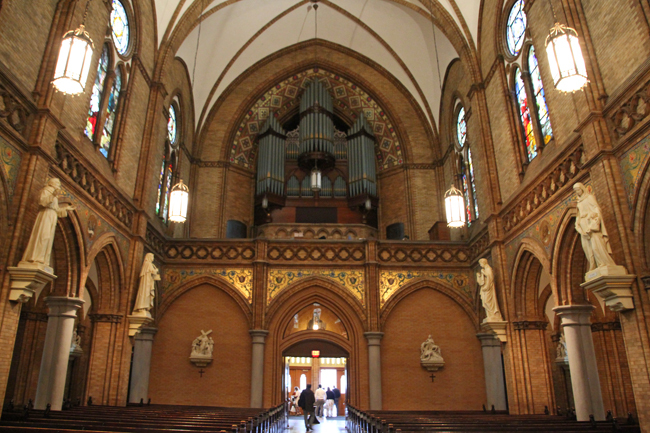 The chuch was designed by Henry Schlacks who had studied at MIT and trained in the offices of Adler and Suillivan. 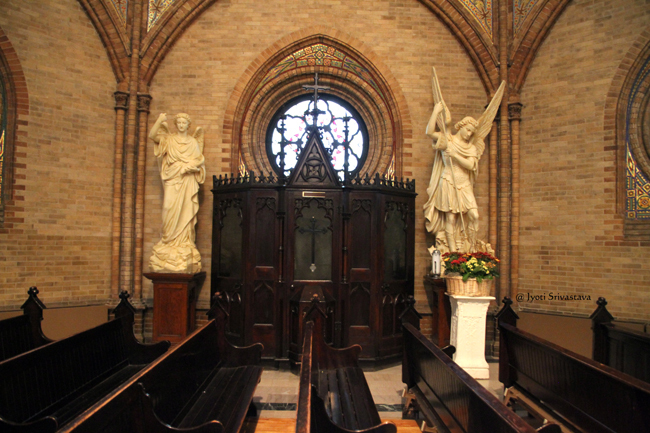 He designed the curch that would be familiar to Parishioners and similar to what they had left behind in Europe. The cornerstone was laid in 1897 and completed in 1899. St. Paul’s Church one of 25 Chicago churches, schools and hospitals designed by Chicago native Henry Schlacks in the early 20th century. 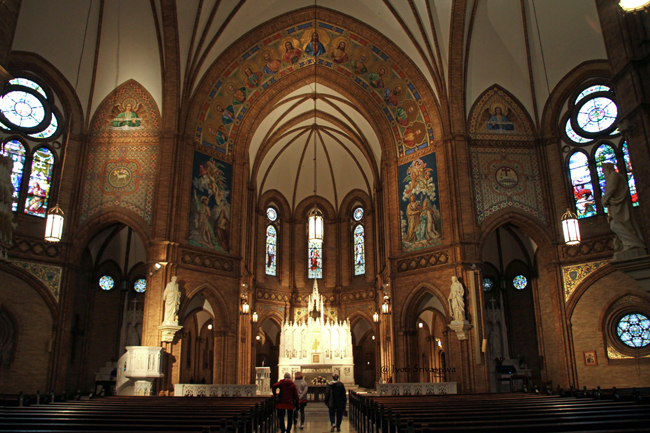 Others include St. John of God, which since has been dismantled and reassembled in northwest suburban Antioch; St. Boniface, which Cardinal Joseph Bernardin shuttered in the early 1990s, inspiring the launch of Preservation Chicago; and Shrine of Christ the King, which the archdiocese recently deeded to a religious institute after parishioners protested the prospect of its demolition after a fire. 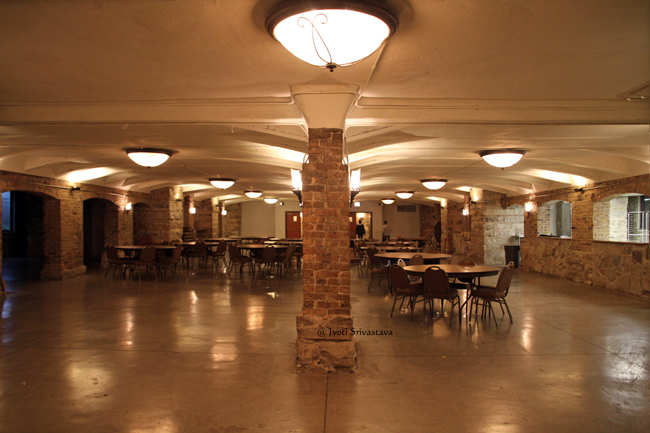 2016: The Roman Catholic Archdiocese of Chicago announced that within 15 years, nearly 100 parishes could be closed, causing concern for the future of these sacred spaces. 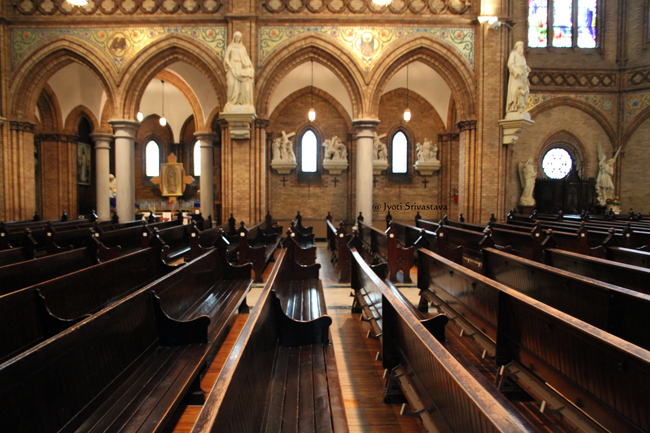 Few churches in Pilsen will be affected. 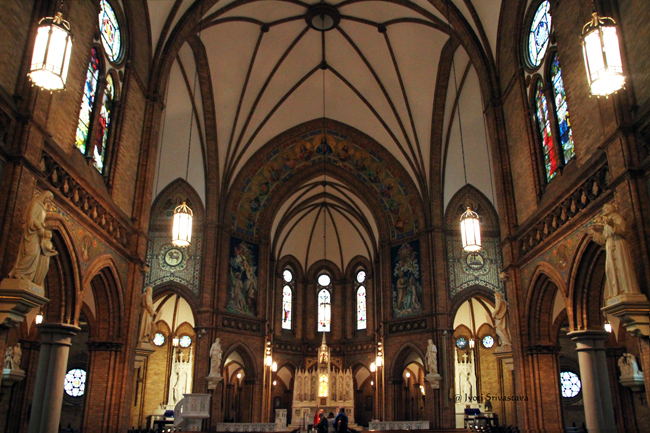 St. Adalbert, 1650 W. 17th St., will close “due to extensive repairs needed and associated high costs.” In addition to the closure, the archdiocese added that St. Pius V, St. Paul and St. Procopius Catholic churches will remain as the three central Pilsen parishes. 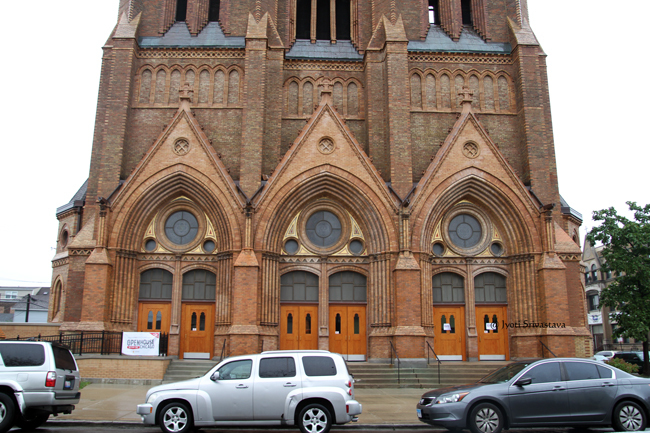 St. Ann (1840 S. Leavitt St.) will become a worship site of St. Paul (2127 W. 22nd Pl. 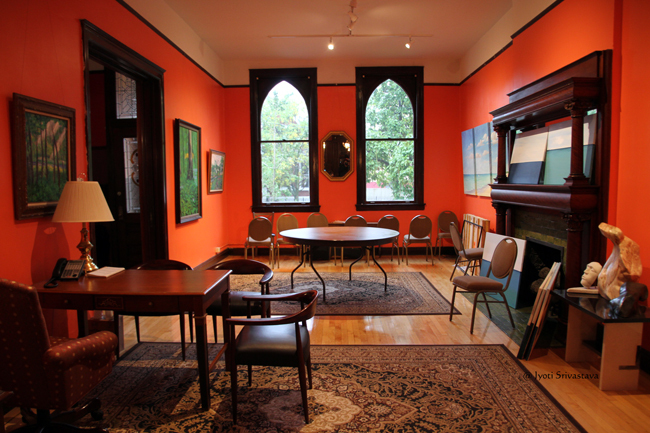 ), and Providence of God (717 W. 18th St.) will become a worship site of St. Procopius (1640 S. Allport St.). Catholic schools in the neighborhood will be unaffected.